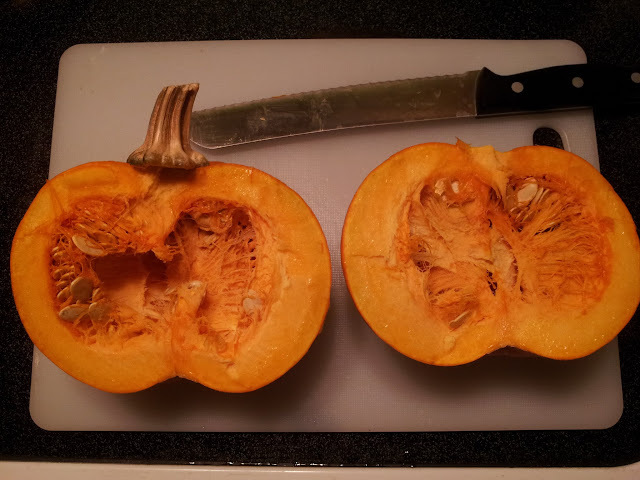 There are several ways out there to cook and gut a squash, but below is my two favorite methods, for Pumpkins and Spaghetti Squash. 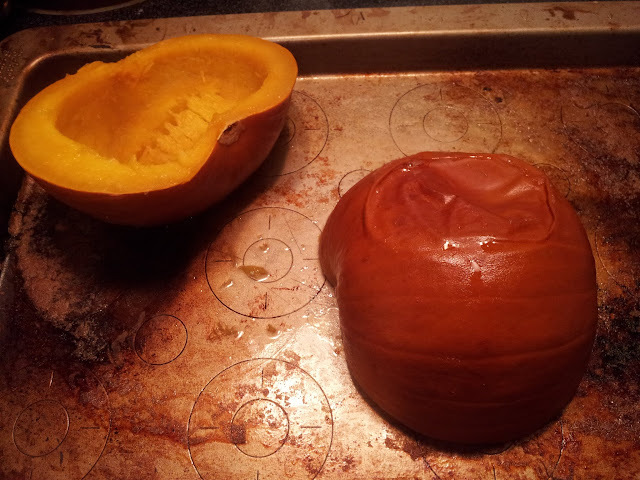 For pumpkins, specific little sugar or pie pumpkins, I recommend a more drying method. 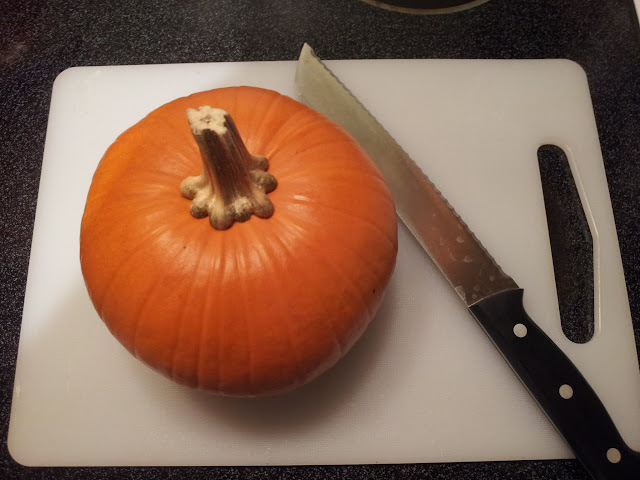 First, carefully cut your pumpkin in half with a long, serrated knife. 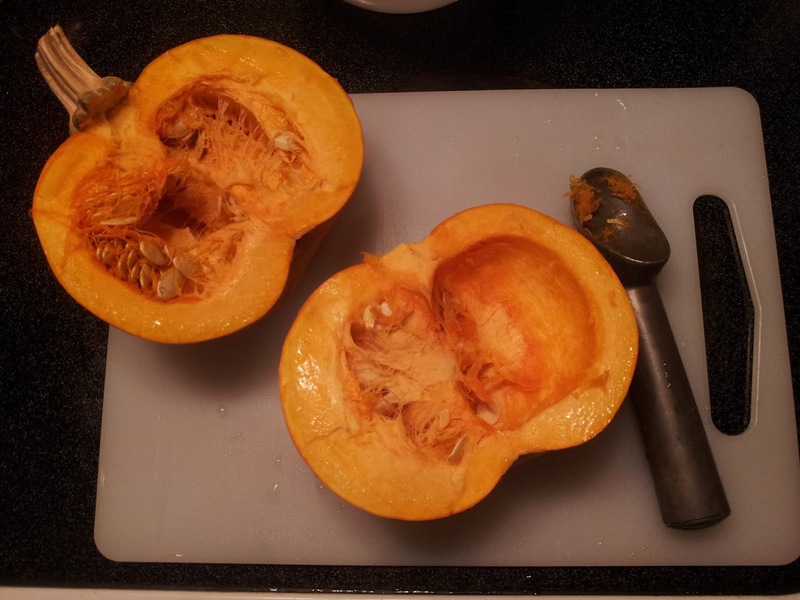 Then, take your soon to be trustee ice cream scoop and scrap out the seeds and gunk inside. Save the seeds and roast them for a tasty snack! Using a wide edged casserole dish or pan, place your pumpkin halves open side down. Add about a half inch of water to the pan and then carefully put it into the oven. If you want to put the pan on the oven shelf before you pour the water, that's an option too. Bake for 45 minutes to an hour, until the roof of the pumpkin either collapse, or are easy to push into collapse. Flip the halves over carefully and transfer them to a plate. 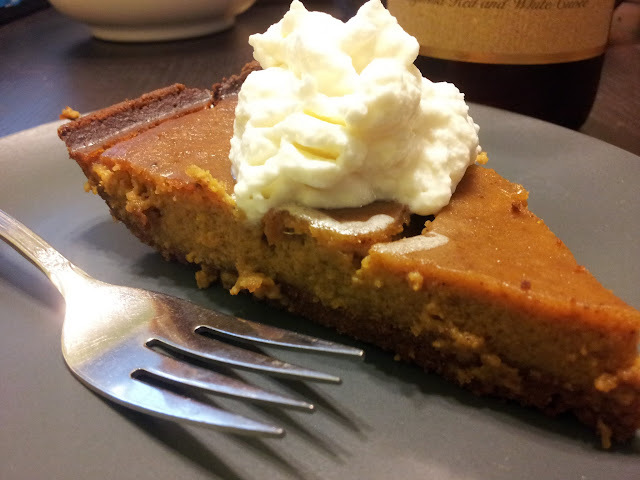 Then, using your trusty ice cream scoop, scoop out the goop! It should be relatively easy to get off the skin, just don't be too aggressively and get some of the skin. 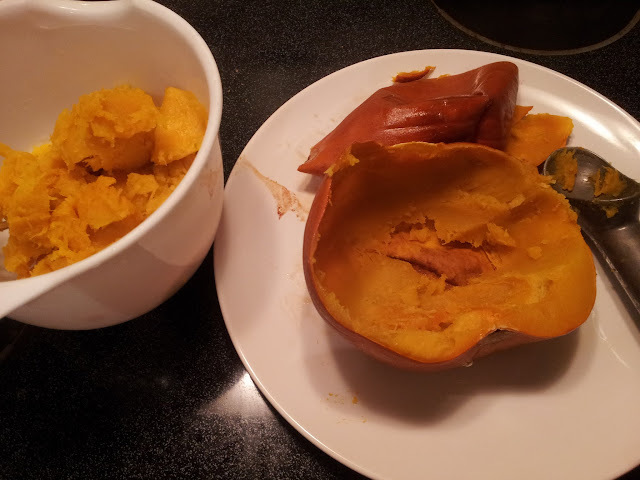 You should be able to get most all of the pumpkin out of the skins this way. 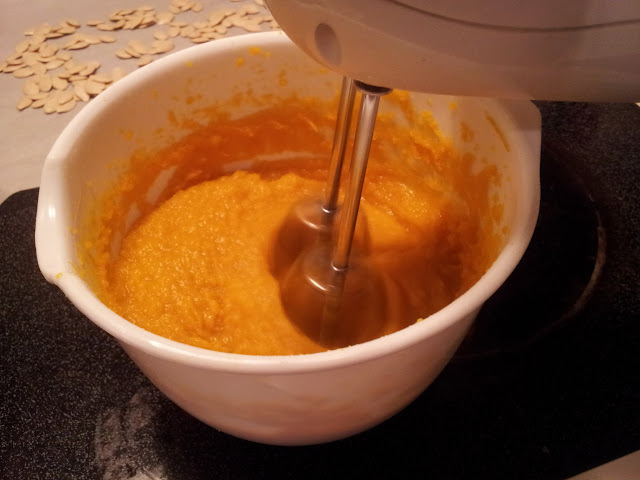 If you're making something where you need pureed pumpkin, simply use a food processor or hand mixer to turn the goop into a puree. 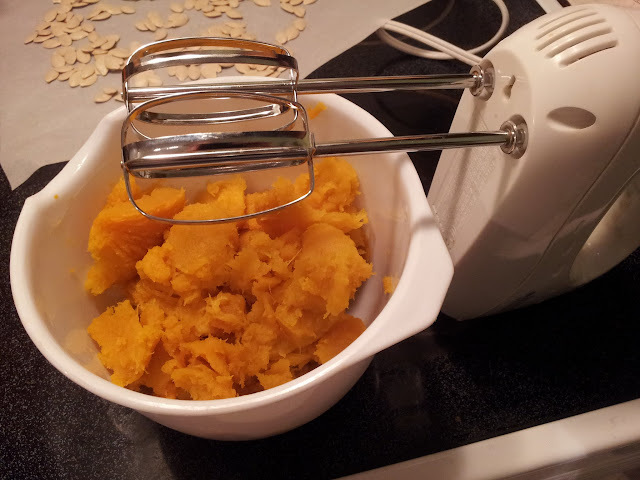 Using a hand mixer on will take awhile, so be patient. Pro Tip: Don't turn it up to high speed and cover yourself and kitchen in pumpkin. There you go! 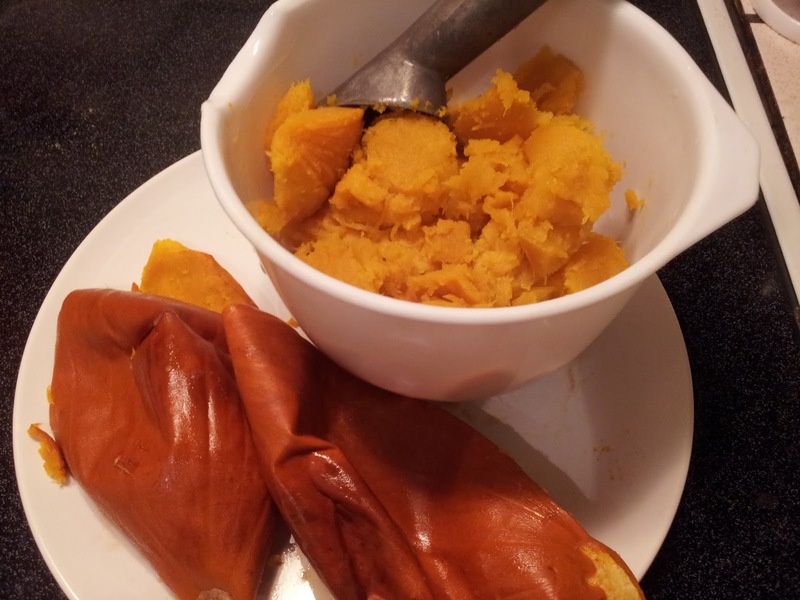 You now have a decent amount of fresh pumpkin, to use in a soup or pie! Nom nom nom!